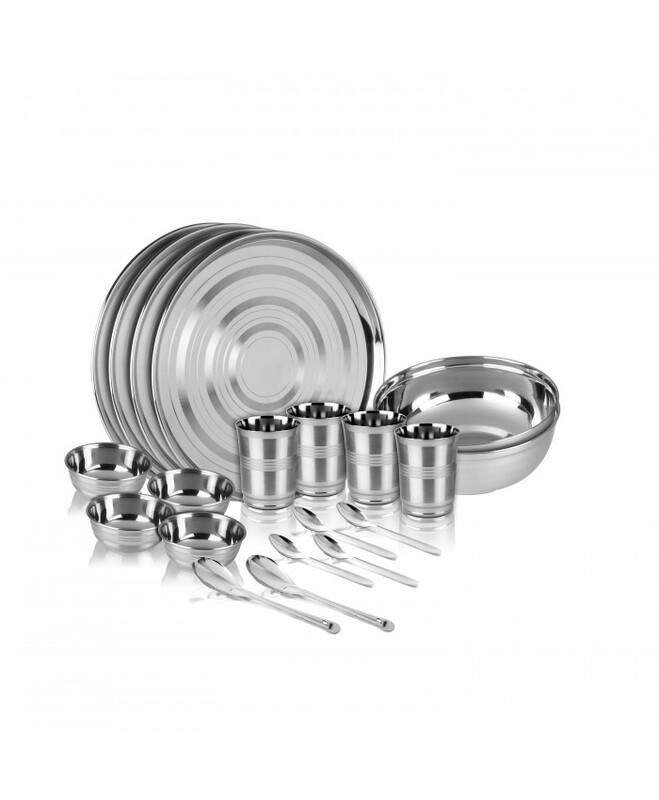 This set is made from high quality stainless steel making it exclusive and durable. The steel used in this set is of food grade quality making it safe to use. Easy to clean, Reasonable price. In Mirror finish.